If you ever wondered who we have to thank for the massive blessing that is having Dolly Parton in our lives, look no further than Porter Wayne Wagoner and his beloved TV show, The Porter Wagoner Show. The show was where Parton, along with a whole lot of other country music stars, got their big breaks. Regularly featuring RCA country artists, The Porter Wagoner Show lasted from 1960 to 1981 and aired for nearly 700 episodes. It was not only a Nashville institution but a beloved American television show. Hosted by the rhinestone suit wearing thin man himself, Porter Wagoner, the show almost always opened with performances by Wagoner and Norma Jean or Dolly Parton. The formula was simple but effective. The show featured a musical guest, interludes from comedian Speck Rhodes, performances by Wagoner, Parton, Jean and others, a whole lot of jokes and sketches, and some gospel music toward the end of the show, usually performed by Wagoner and Dolly Parton but sometimes sung by the musical guest or the whole cast. Sometimes Wagoner’s alter-ego, Skid Row Joe, would make an appearance as well. This week’s Nashville Star featured a guest appearance by music legend Willie Nelson, and six of the eight remaining contestants were faced with the daunting challenge of performing some of Willie’s best-loved songs in front of the man himself! The two contestants who received the fewest number of votes after last week’s show were sent home. Willie kicked the show off with a performance of his classic “Whiskey River” as the contestants watched from the audience, and the BellSouth Acuff Theatre erupted into thunderous applause. The contestants then joined Willie on stage and all had an opportunity to shake the legend’s hand before he took his seat in the theatre. “He just seems like your friend,” Brent Keith agreed. “I’ve waited my whole life to meet Willie Nelson, and oh my God, I’m going to!” Jennifer Hicks exclaimed. Host Nancy O’Dell announced that the evening’s show would consist of performances only by those contestants remaining in the competition. With only six performance slots and eight performers remaining, tensions ran high each time Nancy read out a name. Fairfield, Illinois native Lance Miller was selected to perform first. 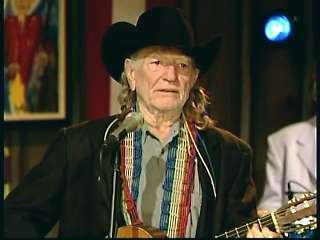 When Nancy asked him how he felt about being the first to perform after Willie himself, he said, “I’ve heard Willie talk about living in the moment and enjoying the now, and I’m gonna enjoy this for a minute.” Lance’s performance was a confident and original version of “On the Road Again,” during which Willie clapped along. Afterwards, Tracy Gershon said, “One of the things I look for is somebody who can perform under pressure. You just sang a Willie song with Willie in the audience. Baby, you just proved yourself!” “I didn’t think you’d be around until the end,” Billy Greenwood said, “but tonight you definitely proved me wrong.” Brett Warren said, “You’re a country star, and I would buy your record.” “Dude, Willie Nelson just opened for you!” Brad Warren added. Next it was time for the latest Hot Spot segment. Last week, the contestants received a phone call from NASCAR driver Jimmie Johnson, who invited them to sing in front of 160,000 people at the Bristol Motor Speedway during pre-race festivities for the NASCAR Nextel Cup Series Food City 500. At the race, the contestants had their first experience of fans recognizing them from being on TV, and had plenty of time to sign autographs and hand out merchandise before having the opportunity to meet Johnson in person. There was more on the race later in the show. Now there were only three contestants remaining – and just one performance slot. Nancy brought Marty Slayton, Brent Keith, and Sheila Marshall onto the stage, and they sweated it out through a commercial break. Brent then launched into his performance of “The City of New Orleans,” saying that it always reminds him of his grandfather, who was a truck driver. “I don’t care if you’re pretty – you can sing,” Brad said. Tracy commented, “You did a good job on loosening up and having fun. You’ve got some work to do, but good job.” “Perfect ending,” Billy concluded. BRISTOL — It was only fitting that famed filmmaker Ken Burns and PBS chose the Birthplace of Country Music Museum on Sunday for their first stop of a 30-city national tour to promote “COUNTRY MUSIC,” a new eight-part, 16-hour film detailing the history of the American musical genre. After all, Bristol is where, in the summer of 1927, record producer Ralph Peer of the Victor Talking Machine Company recorded the “Bristol Sessions,” featuring the first recordings of Jimmie Rodgers and the Carter Family, that launched what became known as the “Big Bang” of modern country music. A larger screening of the film was held later Sunday at the Paramount Center for the Arts, but the full 16-hour film will premiere at 8 p.m.on PBS, beginning Sept. 15-18 and continuing Sept. 22-25. Burns was joined by the film’s lead writer Dayton Duncan, co-producer Julie Dunfey and Old Crowe Medicine Show founding member Ketch Secor, who is featured in the film, for a panel discussion following the screening of the introduction. “Obviously, the ‘Bristol Sessions’ are ground zero … for the story sort of coming together and the creation and coalescing of country music,” Burns told the audience. As one interviewee points out during the introduction, country music offers something for everyone, no matter their mood, whether it’s heartbreak, redemption, success or love. “At the heart of every great country music song is a story,” Burns said. The film project has been in the works for around eight years. Dunfey said several researchers were sent across the country to gather archival footage and photographs. In total, she said 100,000 old photos were collected, with 30,000 of those were were scanned into a database and just 3,300 making it into the final product. Roughly 700 hours of archival footage was gathered and whittled down to 2 hours and 37 minutes for the audience to see. Dunfey said the crew received hours of home video from Johnny Cash’s four daughters, including footage of Cash with Elvis Presley. Never-before-seen photos and footage of Rodgers, among others, will also be showcased in the film. The documentary boasts an incredible lineup of country music stars, including Dolly Parton, Vince Gill, Reba McEntire, Merle Haggard and Willie Nelson. Of the more than 100 people interviewed for the documentary, 40 are members of the Country Music Hall of Fame. Including Haggard, who Dunfey teases as being one of the best interviews in the film, 17 of the Country Music of Hall of Famers have since died, making the documentary that much more alluring. Birthplace of Country Music Executive Director Leah Ross credited the museum’s senior adviser, Keith Liskey, for sparking the museum’s involvement in the film. “As soon as (Liskey) heard that Ken Burns was going to do a documentary on country music, he said, ‘We’ve got to get in touch with him,’” Ross told the crowd prior to the screening. The promotional bus tour will continue with stops in Cookeville, Knoxville, Memphis and Nashville, with a special concert on March at the Ryman Auditorium featuring Dierks Bentley and Ricky Skaggs, among many others. A companion book written by Duncan will be released on Sept. 10. To watch the trailer for “COUNTRY MUSIC,” visit www.pbs.org/kenburns/country-music/. 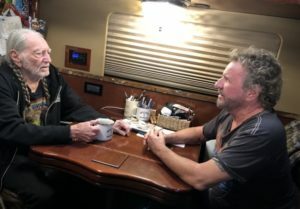 AXS TV has announced the return of the popular music interview series “Rock & Roll Road Trip With Sammy Hagar”, premiering Sunday, May 5 at 8 p.m. ET. Hosted by beloved rock showman Sammy Hagar, the upcoming series puts the spotlight on 12 all-new episodes as The Red Rocker (Hagar) talks and rocks with a roster of enduring icons. Additionally, the network is proud to welcome the world-famous Seminole Hard Rock Hotel & Casino Hollywood, Florida as the exclusive presenting sponsor of the popular series. The Seminole Hard Rock Hotel & Casino Hollywood, Florida serves as the backdrop for one of the season’s most unforgettable episodes when Hagar heads to the resort and casino to perform his biggest hits on the Hard Rock Event Center’s legendary stage. The star-studded guest list includes country legend Willie Nelson; as well as Rick Springfield in a special episode shot on location at his home; multi-platinum rockers REO SPEEDWAGON; celebrity chef/TV host Guy Fieri; renowned comedy duo CHEECH & CHONG; Country Music Hall Of Famer Charlie Daniels; stock car superstar — and seven-time NASCAR champion — Jimmie Johnson; groundbreaking DOORS guitarist Robby Krieger; blues rock revolutionary Joe Bonamassa; and a special drummers episode with prolific percussionists Kenny Aronoff, Sheila E. and Jason Bonham,who gives an exclusive insider’s look at the making of his new album. As part of AXS TV’s partnership with the Seminole Hard Rock Hotel & Casino Hollywood, Florida, the network will present a series of weekly vignettes covering the latest in music news and information in the Seminole Hard Rock Hollywood Music Minute, covering everything from concert tour dates and artist announcements, to music festival news and profiles of up-and-coming artists. Additionally, the series will highlight events at the Seminole Hard Rock Hotel & Casino Hollywood, Florida, while taking viewers behind the scenes on the venue’s storied grounds, which includes the renowned Rock Vault — the temporary home to Hagar’s trademark checkered suit worn during his performance with VAN HALEN at the 1992 VMAs. The iconic ensemble is now on display along the marble-floored concourse of the newly opened casino at the resort, right next to David Bowie’s “Glass Spider” red suit, which he wore during the 1987 tour. “Rock & Roll Road Trip With Sammy Hagar” is produced in-house by AXS TV. Tom Consolo, Evan Haiman, Kari Hagar and Sammy Hagar all serve as executive producers. The series is produced by Stephen Stormer. 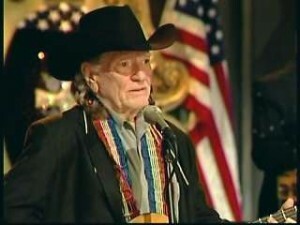 Willie Nelson, Texas Style was first broadcast by CBS on 5 March 1988. “The gentle, easy, visually lovely outing, with Nelson roaming the plains, at his Texas Hill Country ranch, in a boat on the Rio Grande, or in the studio making music, makes you appreciate the Lone Star State,” the Vindicator wrote. The music was mixed with testimonials by friends & family. 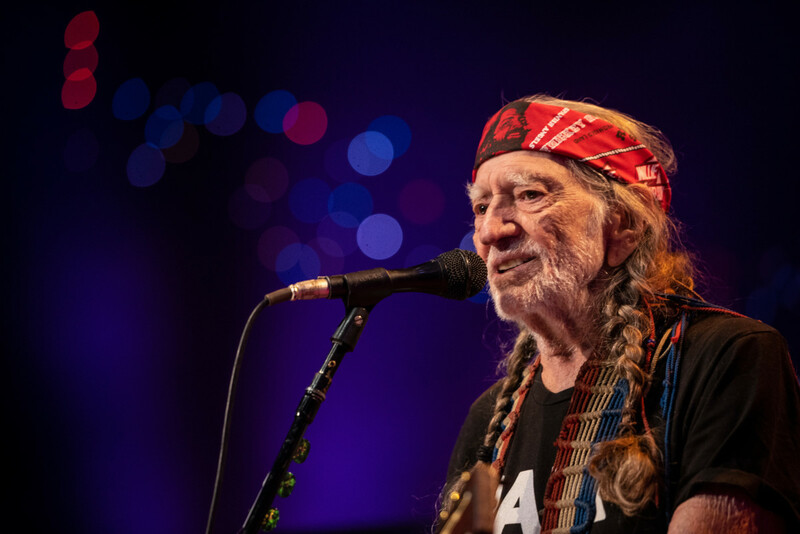 Willie performed On The Road Again, Don’t Let Your Babies Grow Up To Be Cowboys, Asleep At The Wheel, South of The Border, and more. Ray sang Milk Cow Blues with Nelson, and solo’ed on Georgia On My Mind. The other guests were Asleep at the Wheel, and Bruce Hornsby and The Range. 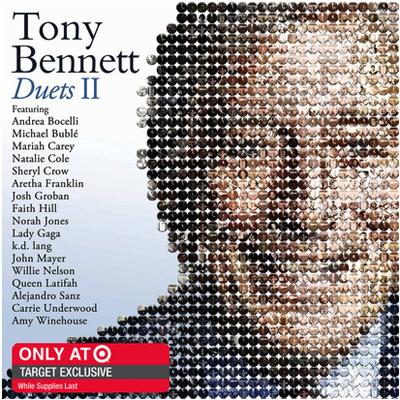 Tony Bennett: Duets II, a presentation of Thirteen’s Great Performances, features the singer’s greatest hits, performed by Bennett and today’s biggest stars, including John Mayer, Michael Buble, k.d. 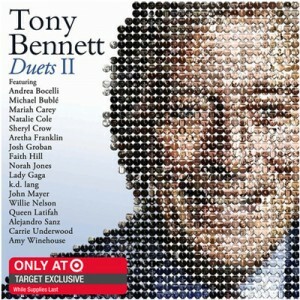 lang, Sheryl Crow, Willie Nelson, Queen Latifah, Norah Jones, Josh Groban, Faith Hill, Alejandro Sanz, Carrie Underwood and more. The sessions, filmed to capture the magic of these performers singing with the master of the Great American Songbook, airs on Friday, January 27, 2012, at 9 p.m. on PBS (check local listings). Great Performances is a production of Thirteen for WNET, one of America’s most prolific and respected public media providers. For nearly 50 years, WNET has been producing and broadcasting national and local arts programming to the New York community. 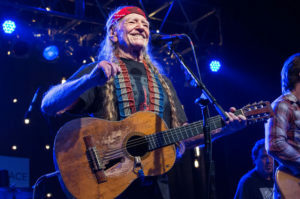 Willie Nelson performs during the Heartbreaker Banquet in Luck, Texas on March 19, 2015. 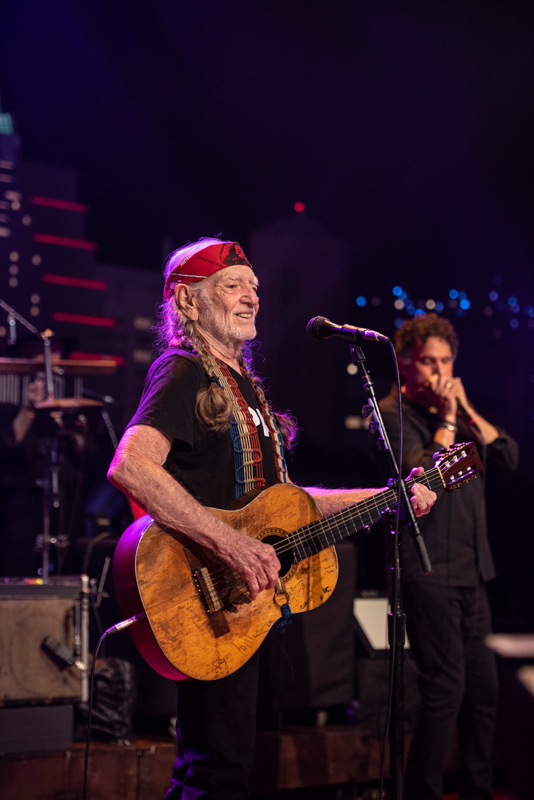 On Saturday, American music icon Willie Nelson returns to Austin City Limits to perform a mix of his universally known hits and classics. Below, Billboard is exclusively premiering Nelson’s “It’s All Going to Pot” performance from the new episode. The legend, who helped launch the series in 1974, makes his highly anticipated return to “the House that Willie built,” marking his first headlining appearance in almost a decade and his first appearance with The Family Band since 2000. Nelson starts the 16-song set with his perennial opener “Whiskey River,” the song he launched ACL with almost half a century ago. Not surprisingly, there are many sing-along moments throughout the set. Watch the exclusive preview of “It’s All Going to Pot” below. The new episode premieres Saturday at 9 p.m. ET on participating PBS stations. 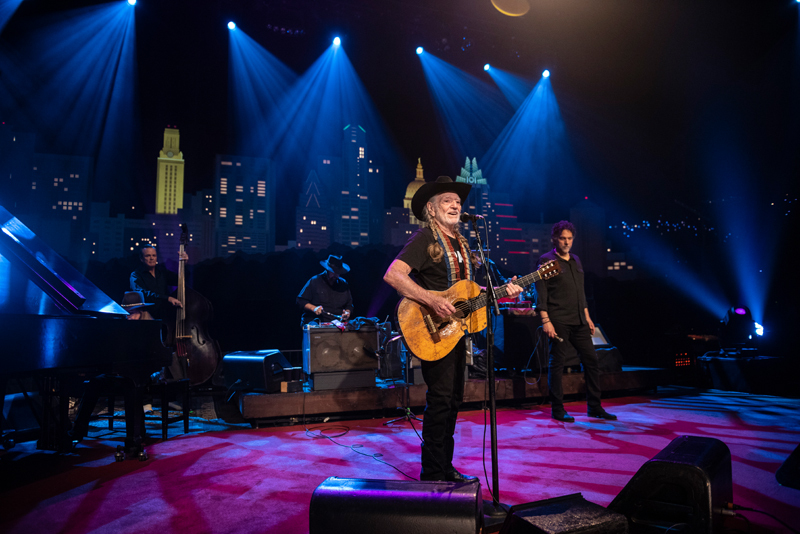 Viewers can visit acltv.com for news regarding future tapings, episode schedules and select live stream updates. ?<“There has never been a recorded instance of an overdose of marijuana. I have living proof sitting beside me.” — Bill Maher? 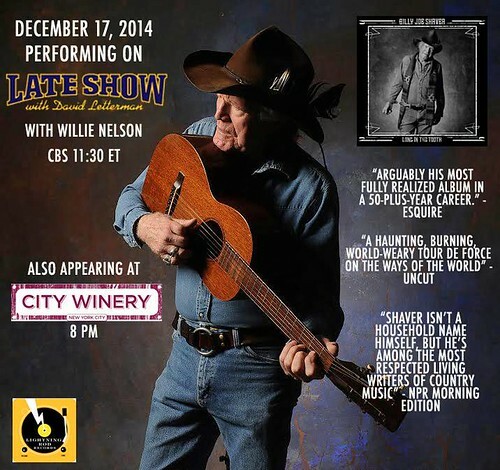 The Red Headed Stranger makes first headlining ‘ACL’ appearance in nearly 10 years. 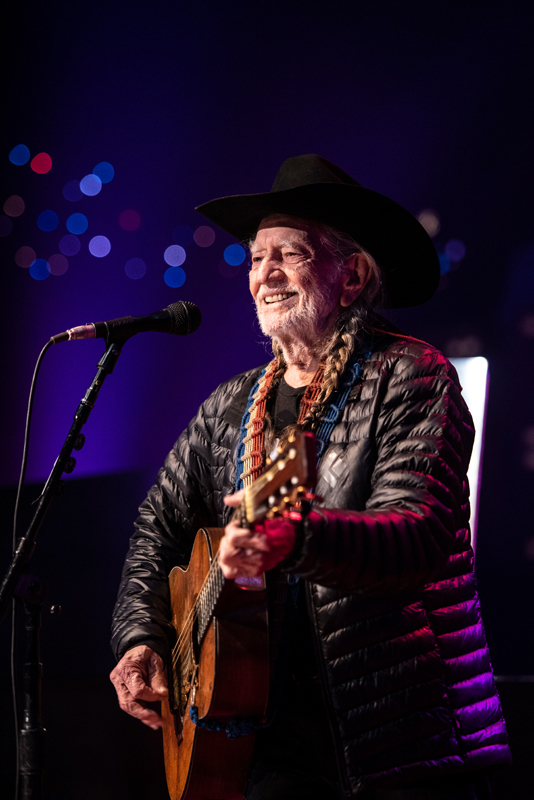 Nearly 45 years after he ushered in one of the most influential music series on television in the last half-century, Willie Nelson returns this weekend to Austin City Limits for the 18th time. In this exclusive clip from the upcoming episode, Nelson seems to be playing off those impressive figures and his history with the PBS series. He shifts the tone of the opening line of one of his most enduring tunes, “Funny How Time Slips Away,” from melancholy to celebratory, addressing the audience with a more spoken than sung “Well, hello there, my, it’s been a long, long time.” Armed with Trigger, his trusty Martin guitar, Nelson delivers a mesmerizing extended solo on the instrument. 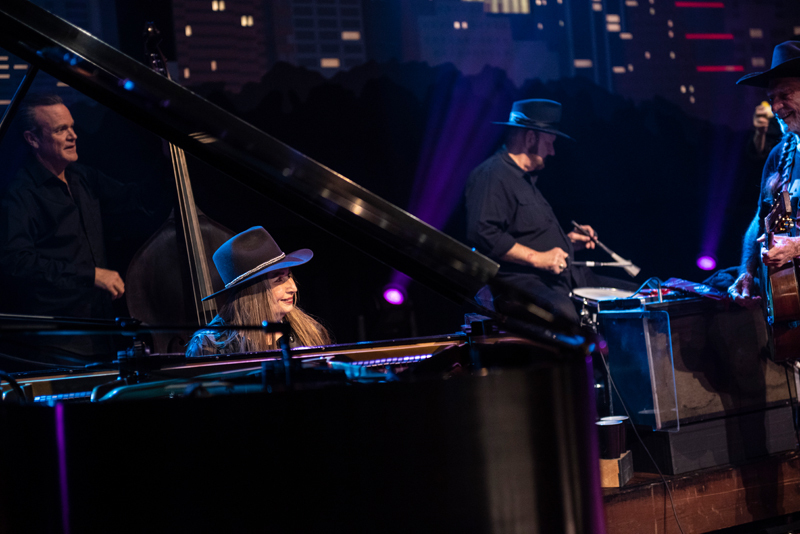 The 85-year-old legend, who last appeared on a full episode of Austin City Limits nine years ago, unleashes an 18-song set backed by the venerable Family Band, which includes his sister Bobbie Nelson on piano, Paul English on percussion and Mickey Raphael on harmonica. Spanning the songwriter’s entire career, the set includes such favorites as his standard show opener “Whiskey River,” “Mamma’s Don’t Let Your Babies Grow Up to Be Cowboys” and “Always on My Mind.” Nelson also performs the Django Reinhardt guitar classic “Nuages,” from his 1999 Night & Day album, and “Fly Me to the Moon,” the opening cut on his 2018 homage to longtime friend Frank Sinatra, My Way. His ACL performance of that tune spotlights drummers (and brothers) Paul and Billy English and bass player Kevin Smith. Willie Nelson appeared on the pilot episode of the series, taped in 1974 and was, fittingly, one of the first inductees into the Austin City Limits Hall of Fame when it was launched in 2014. Austin City Limits airs this weekend on public television stations across the country. See more photos at the ACL Website. Eddie Stubbs started the show by introducing the guests. “From Nashville, Tennessee, the country music capital of the world and home of the air castle of the south, it’s time for The Marty Stuart Show, featuring Marty Stuart, the Rolls Royce of country singers Miss Connie Smith, the ole Tennessee Slicker Leroy Troy, along with all the Fabulous Superlatives: Cousin Kenny Vaughan, Handsome Harry Stinson, the Apostle Paul Martin, plus Gary Carter on the steel guitar, and today’s special guest, Country Music Hall of Famer Willie Nelson.